So are the kids driving you nuts being home all day? Are you running out of projects for them to do? Well, I happen to have a fun, easy and a little messy (only if you use glitter!) craft that you can do with the kids. The awesome part of this is they can be given as Homemade Christmas Gifts so you will be ahead of the game when December rolls around! These would make excellent gifts to give Teachers or Grandparents for Christmas gifts!! 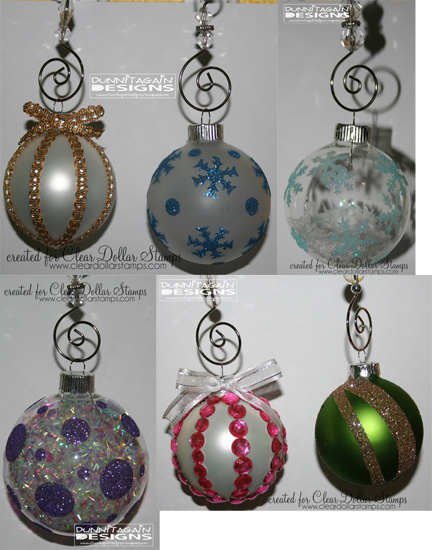 Yep, homemade Christmas ornaments!! They are super duper easy and fun! All you need is Scor-Tape and stuff to decorate with. I told you it was easy! Did you know that Scor-Tape not only comes in rolls of different sizes but it also comes in sheets, 6 x 6 and 8 1/2 x 11? Let me show you how I made the frosted ornament with snowflakes on it. Step 1: Gather the punches of the shapes you want to use and a sheet of scor-tape I would not use punches that are too intricate as the small pieces seem to get messed up when taking off the backing. Step 2: Punch out the shapes. Some punches will work better then others....older punches seem to have a bit of trouble so that gave me the excuse to buy new snowflake punches and they worked beautifully! I won't lie it does take a little bit more muscle then normal paper. I also learned it is easier if you leave the punch on the table to punch instead of doing it in your hands. Step 3: Peel off the backing and place on ornament. I used a frosted ornament on this and liked it a lot. I bought a box of ornaments on sale at a hobby/craft store....they come in clear and frosted. Step 4: Peel off the plastic to reveal the sticky. Hold the ornament over a tray or paper plate so it will catch any extra glitter. Dump glitter on the sticky pieces. Step 5: Tap on the ornament to get any extra glitter to fall off....be careful not to hard as it is a GLASS ornament. Oh and a trick my friend Stephanie taught me....got to love friends that know all the secrets uses for things...get a dryer sheet and rub on ball. It will take off the extra loose glitter! 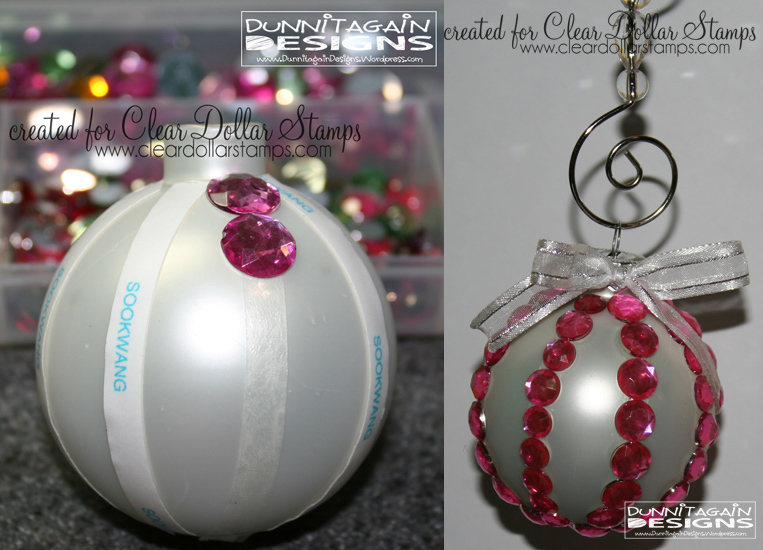 Here is a snowflake design on a clear ornament. It looked plain to me so I added some snow to the inside of the ornament. Here I punched out circles of different sizes. Then I filled the inside of the ornament with the shiny shreds that can be put inside a gift bag when giving a gift. 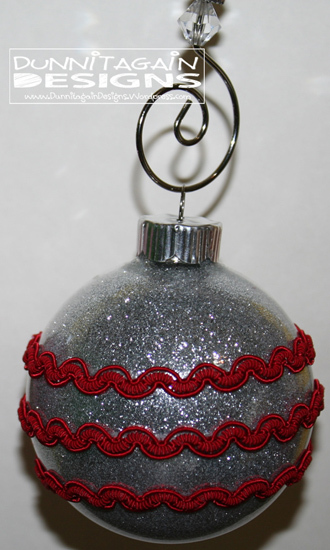 I found that if you want the scor-tape to go horizontal around the ornament then I would not use glitter as the scor-tape will not always lay flat... it depends on where you put it on the ball. It lays flat in the center but if you try to do three layers it get lumpy...see photo below. Also, I was not impressed with how the white glitter DID NOT show up well at all. To make this glitter ornament ball check out this awesome tutorial I found - Glitter Christmas Ornaments. 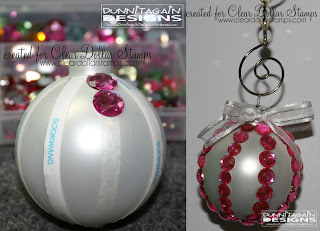 I hope you enjoyed learning how to use Scor-Tape to turn ordinary ornaments into beautiful ornaments....that are a lot cheaper than store bought! Plus it's an activity you can do with your kids! what a clever and cool tutorial! thanx a lot for these wonderful inspirations! These are completely adorable!! I could even do it with my younger kids, which I love!!! these are beautiful and a great idea! I have two granddaughters 2 & 3. They would love this! Wonderful ornaments. Will have to buy some Scor Tape.